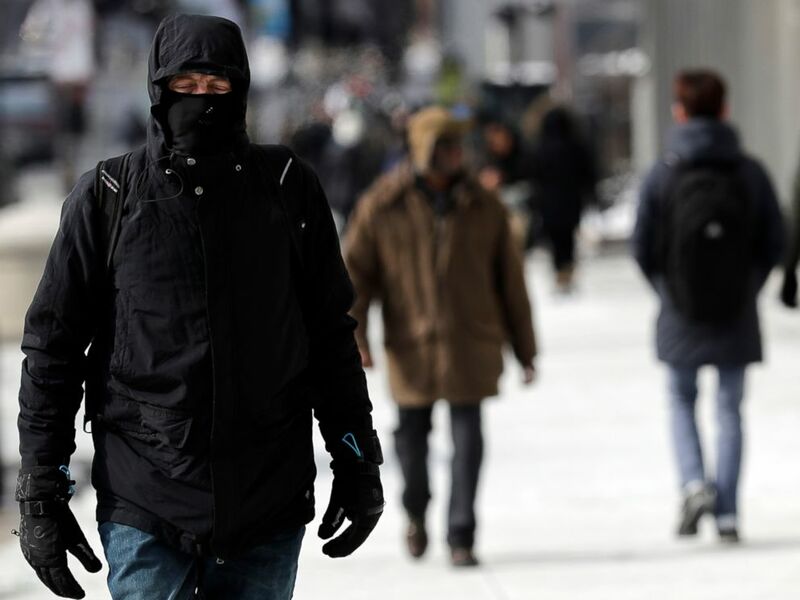 A man is bundled up against Chicago’s cold, in downtown Chicago, Jan. 27, 2019. “Winter storms don’t prove that global warming isn’t happening,” the tweet said. Many Twitter users began to argue that the tweet amounted to a government agency ‘subtweeting’ its own chief executive. In response to an inquiry from ABC News, however, NOAA’s Director of Public Affairs Monica Allen disputed that the tweet was intended to send a message to Trump. The president has repeatedly cast doubt on the existence of global warming in response to cold weather events dating back as far as 2013 and has described it as a “hoax” cooked up by the Chinese. It wouldn’t be the first time Trump’s beliefs about global warming have contradicted data affirmed by his own government. Last November, Trump said he didn’t “believe” a report on climate change from the U.S. Global Change Research Program that showed dire predictions related to the potential long term economic impact of climate change on the U.S.